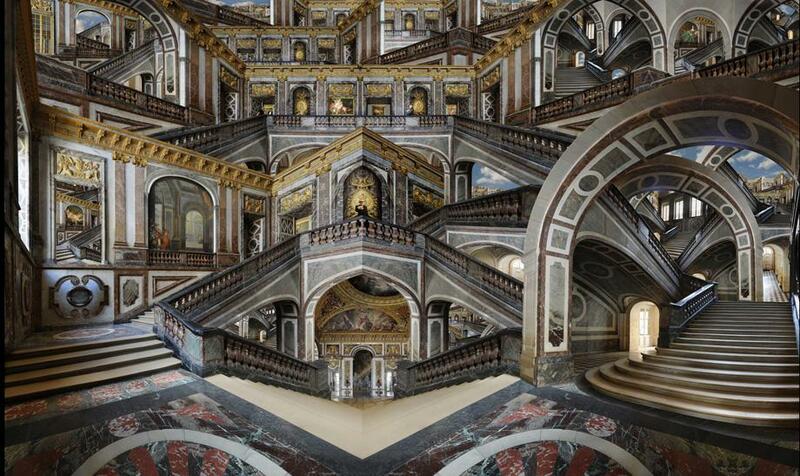 Hyper-photos: Jean-François Rauzier attempts to create the most detailed images in the world. Welcome! Behold is Slate’s new photo blog. You can find us on Facebook, Twitter @beholdphotos and Tumblr. At the foremost of this evolving genre is Paris-based photographer Jean-François Rauzier, who has spent the last decade building photos of unprecedented detail. His latest images, which you can see below, are around 10,000 times the resolution of a normal photograph. Even at 66 feet wide, around the size of two school buses, his images are incredibly crisp. As a fashion photographer in the 1970s Rauzier longed to break free from the constraints of advertising and film photography. Envious of moviemakers who engage viewers for hours, he wanted to capture everything before him in one image. But photographers had to choose: close-up or wide-angle. With digital photography he realized he could stitch together a grid of pictures, creating a far-flung panorama with a wealth of detail to rivet viewers. Click to see more detailed image. Rauzier takes an hour or two photographing his subject from every angle “like a scanner.” Then the real work begins: days and nights with Photoshop, stretching, bending and multiplying hundreds, even thousands, of images and blending them seamlessly. Since the light changes as he shoots, matching colors presents another challenge. He takes additional liberties with the images, duplicating sections in symmetrical ways to create elegantly surrealist landscapes. Sometimes he also incorporates himself, clad entirely in black. Although resembles Magritte’s man in the bowler hat, he insists he’s simply offering homage to Kafka’s heroes. If you have a large decorating budget and a huge space, his massive images are available for purchase from Waterhouse & Dodd in London and New York.